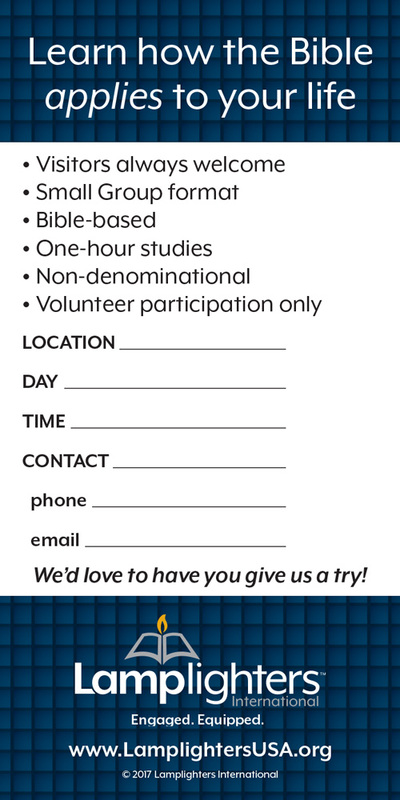 The invite card is designed to make it easy for Bible study participants to invite others to their small group. The individual writes his or her name and the time and location on the invite card so the invitee will know all the pertinent information. There are also some key bulleted points to remind the invitee about what he or she can expect when they join the class for the first time.